I suppose after I’ve featured them as many times as I have it was inevitable they found their way into our rotation of featured bands. 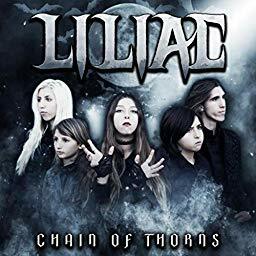 Liliac has their new release out, played live at NAMM recently, and were featured on The Best, a new CBS talent show. Hell, it’s only 9 days into February. You can back out to our blog page and see the previous accolades we’ve given this band in the past and I’m pretty confident you’ll see why we support them as much as we do. Liliac is an amalgam of the past with hope for the future holding a lot of promise of great music to come. I’m going to stop now and simply include some videos and links for you to read up all about ’em. You’ll hear them on Renegade Radio quite often and they’ve become a regular focus on the icehouse.